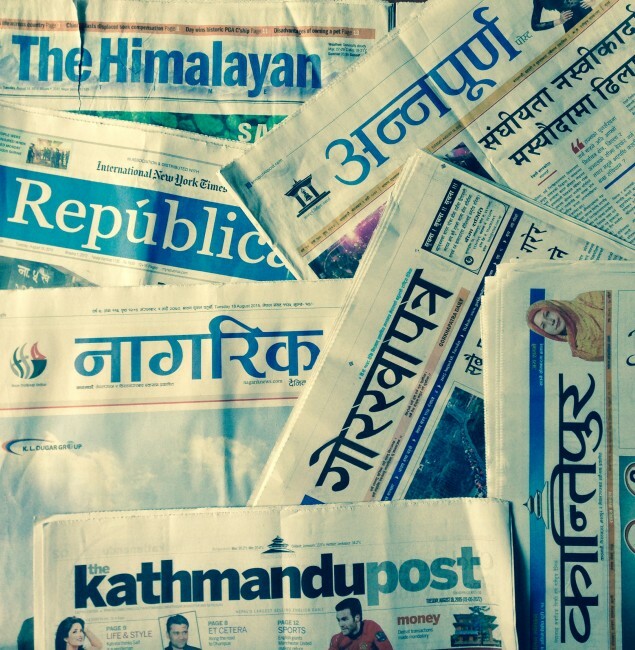 The Kathmandu Post report headlined “Police raid 22 firms, detain owners” by Manish Gautam and Binod Ghimire datelined Kathmandu has quoted two unnamed sources: Sources at Metropolitan Police Crime Division and source involved in the raid. Nagarik report on the new constitution headlined “All issues settled except for delineation” datelined Kathmandu has quoted one unnamed source: a source at the political meeting. Nagarik report on commercial surrogacy headlined, “Network spreads outside Kathmandu Valley also” by Deepak Dahal datelined Kathmandu has quoted two unnamed sources: a source associated with the investigation committee formed by the Ministry of Health and Population and a high-placed source at the ministry. Annapurna Post report headlined “Government should maintain restraint” by Narendra Saud datelined Kathmandu has quoted an unnamed source. Gorkhapatra report headlined “Legitimacy of Commission on Access to Justice questioned” by Kumar Vivekananda Mishra datelined Kathmandu has quoted one unnamed source: a central level official of the Nepal Bar Association.